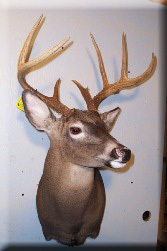 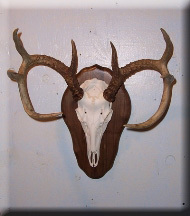 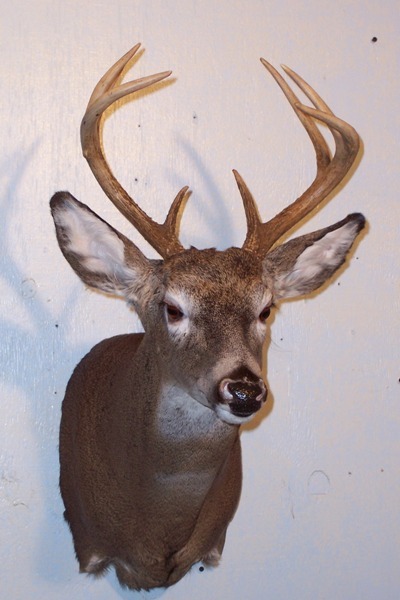 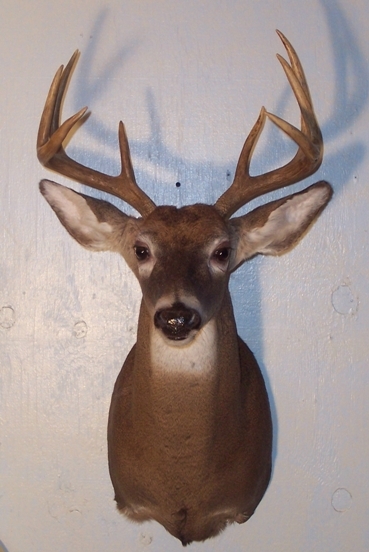 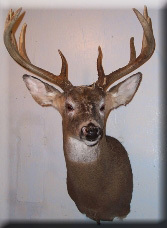 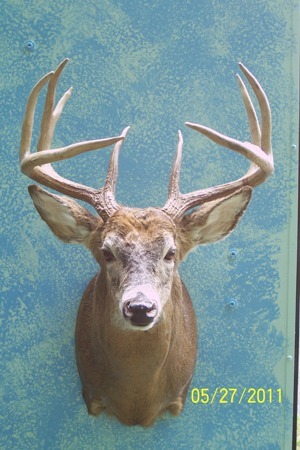 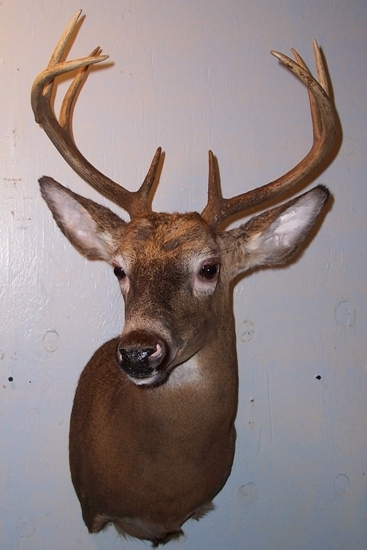 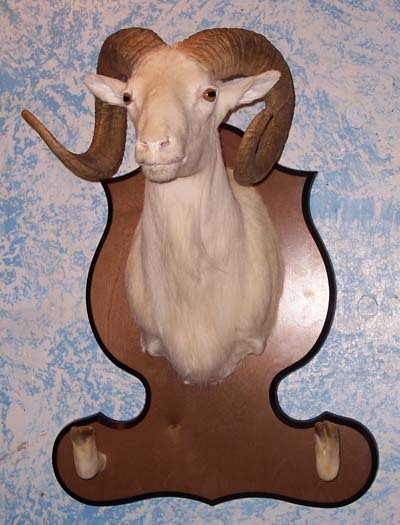 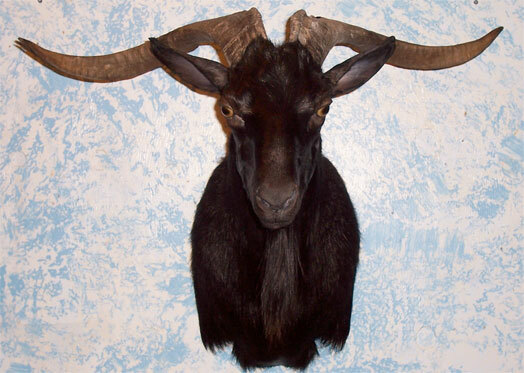 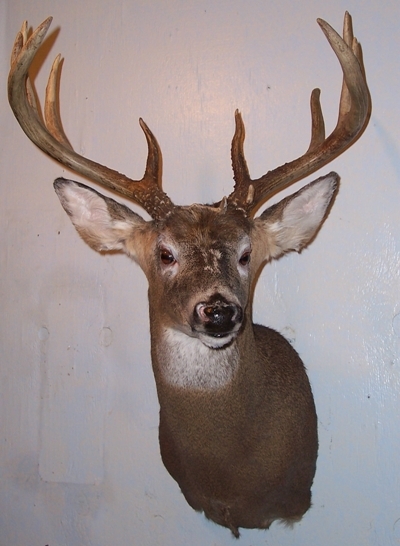 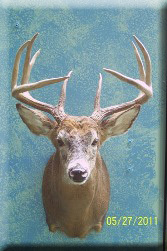 Nice 8 point buck with an open mouth mount. 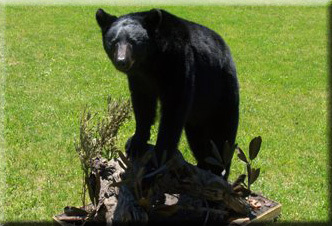 Mounted in 2006 this bear weighed 177lbs and is displayed on a custom habitat. 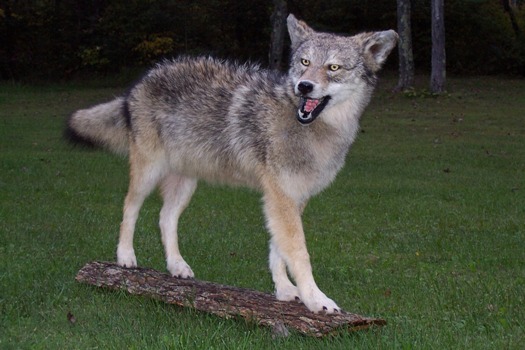 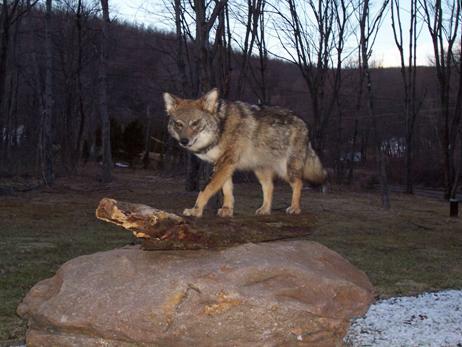 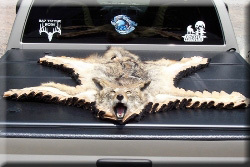 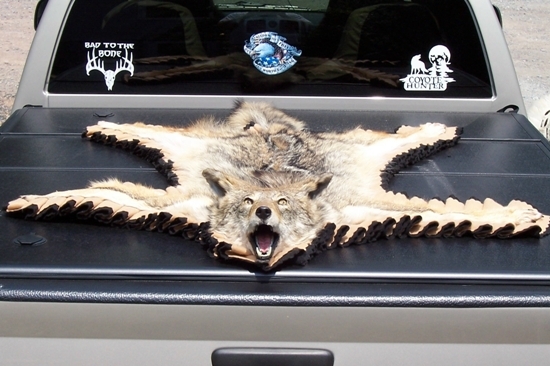 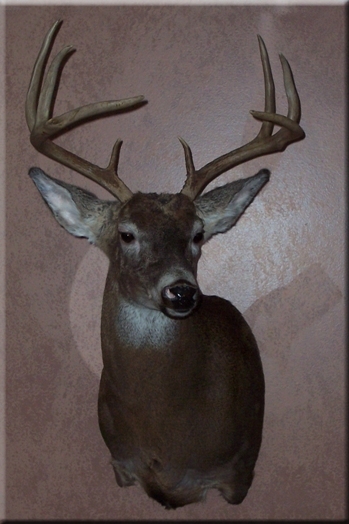 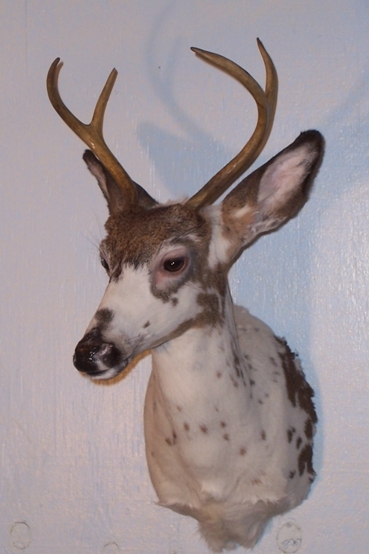 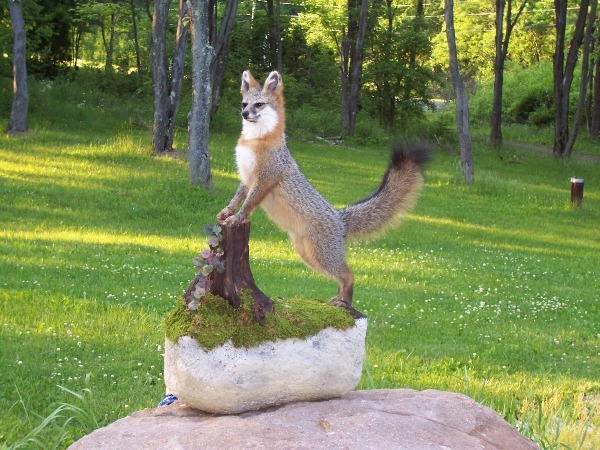 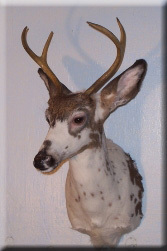 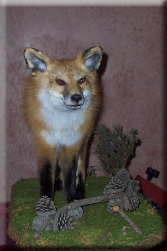 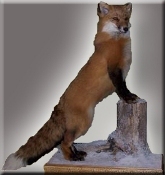 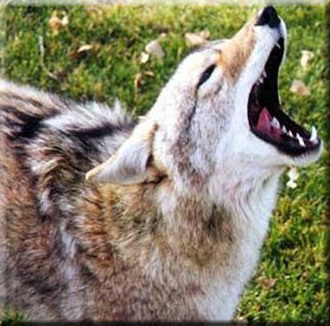 This Gray Fox was taken in 2005 and is mounted on a Custom rock base that hangs on the wall. 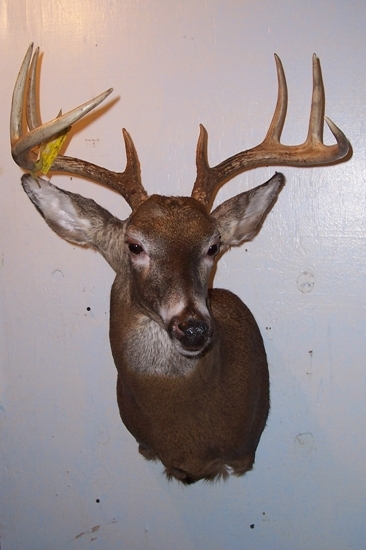 Another nice 8 point buck. 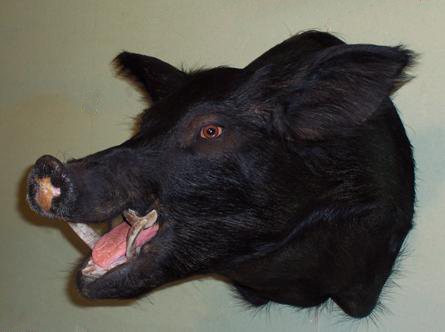 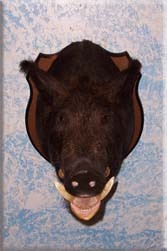 Wild boar weighing 300 lbs. Red fox on a custom base. 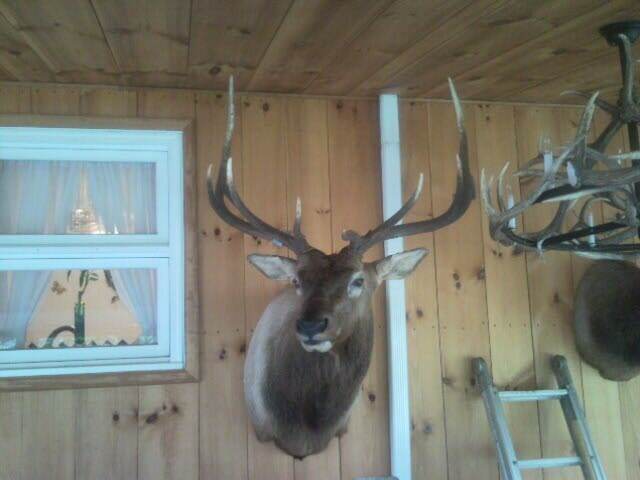 1200 lb 6 X 5 elk from Colorado.